Want to Make Your Garden as Glorious as You Can? 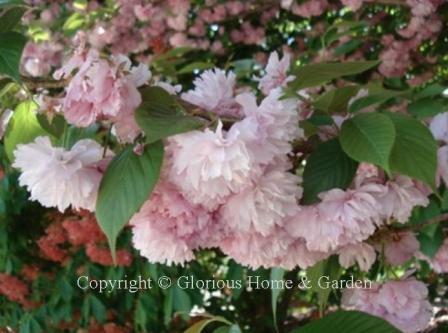 Then welcome to Glorious Home & Garden, a website dedicated to making your garden more beautiful throughout the year! This site is about gardening . . . and about beauty. I feel strongly that good design does not end at the threshold, that the garden is an extension of the home, and that we should place as much emphasis on our immediate exteriors as our interiors. Just what is a “glorious” home or garden? To me it means a home that is well-designed, well thought out, comfortable, hospitable, adaptable, and beautiful. Mostly, it is one you love to be in and long to come home to, that envelops you in safety, serenity and beauty, and gives you a refuge from the stress of modern day living. Our homes are the only places where we have complete control, so let's make them completely our own. Let's explore in these pages how to use nature to the best effect in our exterior spaces to express our personal vision, to create a beautiful, individual, glorious, garden for our personal enjoyment and gratification. The choices among trees, shrubs, perennials, bulbs, annuals and more, for color, scent, texture, size and use are almost limitless. The reason for organizing the website based on the seasons is to show that there are exceptional plants to choose in every season no matter what effect you are aiming for. Everyone won’t love everything—but that’s the beauty of it—they choices you make will reflect your personal taste and vision, and will be the purest expression of you. Your garden can be your own private paradise! Select your favorites for a springtime full of color, scent and beauty. Make your fall garden as lovely as your spring garden by choosing special trees, shrubs, perennials and bulbs for fall color. The garden in winter is a glorious time of year. Your winter garden can be special with the right plant choices.